2014 photo by Ian Ligget. 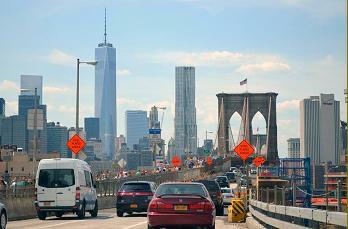 Need to find which New York City streets have alternate side parking restrictions? Find out on the NYCDOT website. 1938 photo from the Steven Waldman collection. 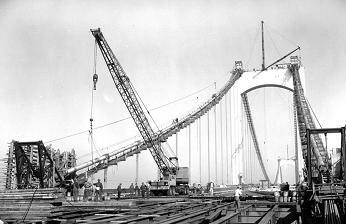 1960 photo from the Triborough Bridge and Tunnel Authority archives. 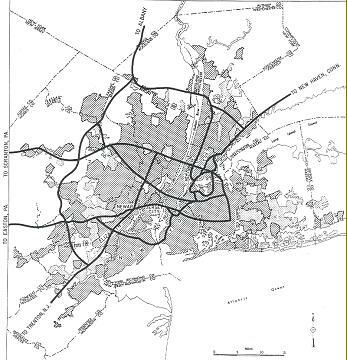 Old maps and planning studies covering the development of the New York-area arterial system. Have a video from the road? Please let me know! You'll get linked to NYCRoads.com. This site is not an official site affiliated with the New York State Department of Transportation, the New York City Department of Transportation, the New Jersey Department of Transportation, the Connecticut Department of Transportation, the Metropolitan Transportation Authority, the Port Authority of New York and New Jersey, or any other government agency.